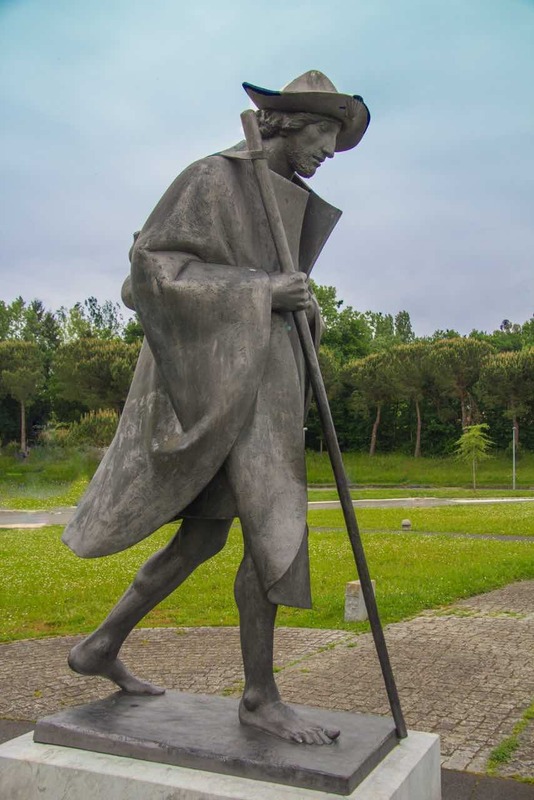 El Camino de Santiago, in English “The Way of Saint James,” is the pilgrimage to the Cathedral of Santiago de Compostela in north-western Spain, where legend has it that the remains of Jesus’s apostle Saint James the Elder lie. Today, the Way of Saint James continues to direct travellers and pilgrims to the remains of the fiery-tempered Apostle whom Jesus once called a “Son of Thunder”. Today, he is known as Saint James the Greater. Today, the most popular pilgrim route to Santiago, it is some 780 Kms in length. Leaving Saint-Jean-Pied-de-Port, France and the mountainous terrain of the Pyrenees, the pilgrim soon confronts the vast, open, flat plains of central Spain with only sparse shade for protection. After Astorga, he will find himself climbing steeply, reaching 1,505 metres at La Cruz de Ferro, before descending in fits and starts towards Santiago. Nowadays, it takes the modern pilgrim 32 to 45 days to complete the journey. Because we live close to the route which starts in Arles and which eventually winds up into the Haut Languedoc and beyond, we keep bumping into people who have walked some or all of Camino Francés/El Camino de Santiago/The Way of Saint James. In a mad moment, like so many things in our lives, the three of us decided to find out what the fuss was all about. Click each picture for more information and join us on our Camino.